Is your tree decorating event this much of an adventure? Ours sure is! 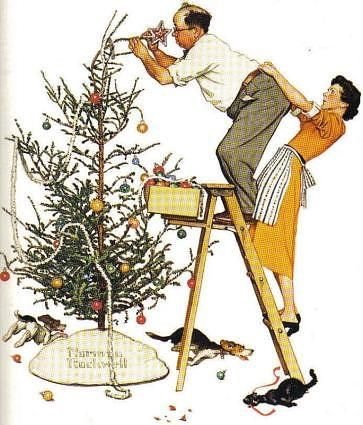 Let yourself enter into the humor of Norman Rockwell’s scene!